Cyclocross is growing in popularity around the world. These bikes have the ability to ride offroad and on the pavement and can definitely take a beating. The Masi CXRc Expert Bike is a carbon-framed cyclocross bike that is loaded with versatility. The dirt-tuned MC9 carbon frame uses 12mm thru-axles which increases the handling and stiffness when making quick, tight turns. The frame also uses internal cable routing which keeps the cables out of the elements. With tire clearance for up to 700x44 tires or 650bx47 tires, you can get the maximum amount of traction from your bike. The CXRc Expert comes with a simple and efficient SRAM Force 1x drivetrain. With a 1x drivetrain, you no longer have to worry about a front derailleur, you just have to worry about the rear derailleur. With a wide-range 11-36-tooth gear range, you'll have no problem riding in tough terrain or racing cyclocross. The SRAM Force hydraulic disc brakes provide excellent stopping power and gives riders the confidence to ride harder and faster. The Brev M CX30 wheels and Kenda Small Block 8 Pro tires are tubeless ready which means you can set them up tubeless for a smoother ride, increased traction, and fewer flats thanks to the tubeless sealant. The carbon fiber seatpost helps reduce the vibrations from the smaller bumps you feel while riding. 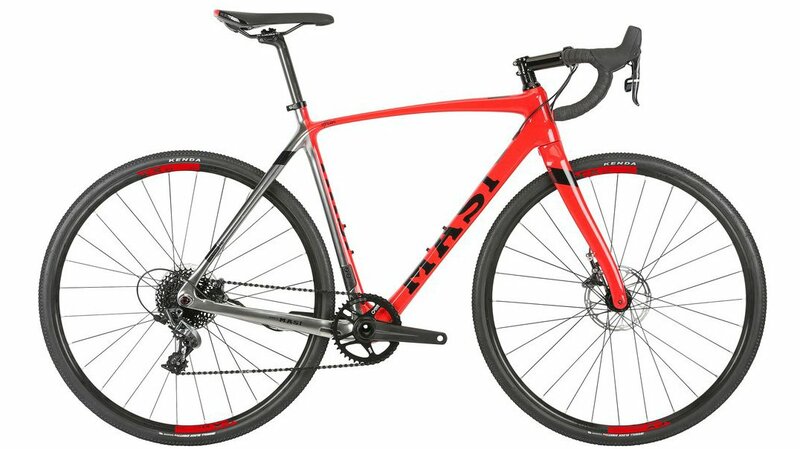 This bike is perfect for cyclocross riders or riders who want an excellent gravel bike with tons of versatility. 157.5 - 165 cm 5'4" - 5'8"
162.5 - 172.5 cm 5'7" - 5'11"
170 - 180 cm 5'10" - 6'3"
177.5 - 190 cm 6'2" - 6'5"